IHG (InterContinental Hotels Group) is a large worldwide hotel chain best known for their Holiday Inn and Holiday Inn Express brands. IHG however comprises of 13 brands in total (soon to be 14 with the addition of Regent) and well over 5,000 hotels Worldwide. They have a significant presence here in Canada with over 185 hotels from coast to coast. Alberta and Ontario are the winners here taking four and two of the seven properties respectively. 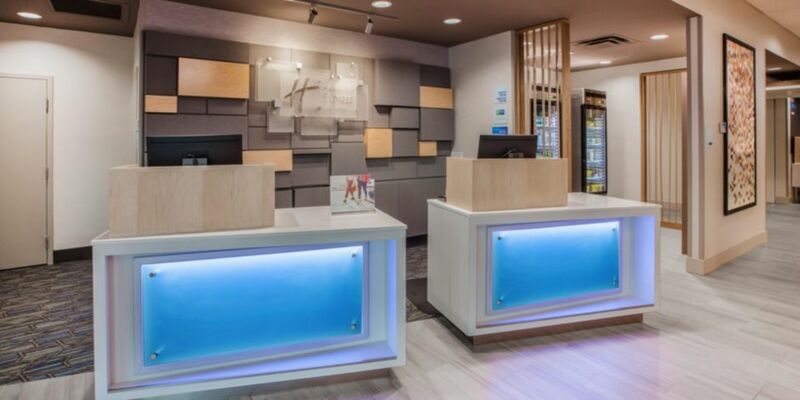 I would say the stand out hotels that are opening this year are the Holiday Inn & Suites Calgary South, Holiday Inn Edmonton South and the Holiday Inn Express & Suites Ottawa Downtown East. If you are planning a stay at any of these hotels let us know as we'd love for you to do a review for us! Overall this is a lower amount of new hotels opening compared to 2018 which had 12, however it is still good to see the brand continuing to grow in Canada. Based on IHG's reports there are at least another 24 hotels planned in Canada over the next few years. Remember to take advantage of all the possible IHG Rewards Club bonus points offers if you plan on staying at any of these new IHG hotels or any other IHG hotels for that matter! You can find all the promotions listed on our IHG Rewards Club Bonus Points page. At the very least the offer that should be on everyone's radar is their Faster Nights. Free offer or Triple Aeroplan Miles offer although both of these offers end on April 30, which means only the first three hotels would be available for the bonus. Don't fret however there will most likely be new offers out for the remainder of spring and summer! Are you excited about any of the new IHG hotels opening up this year? Are there any locations or brands you'd like to see in your neck of the woods? Let us know in the comments below.